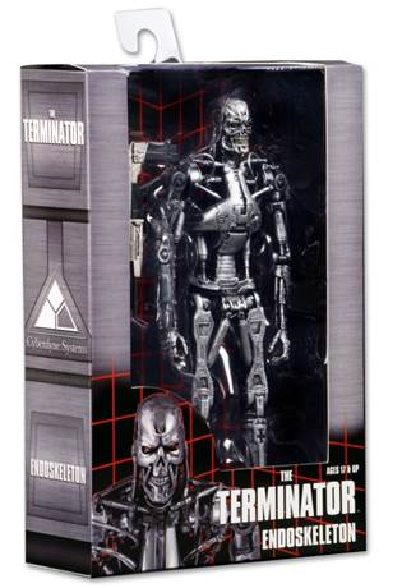 The chilling T-800 Endoskeleton (AKA a skinless Arnold Schwarzenegger) from The Terminator is one hero you can't forget. 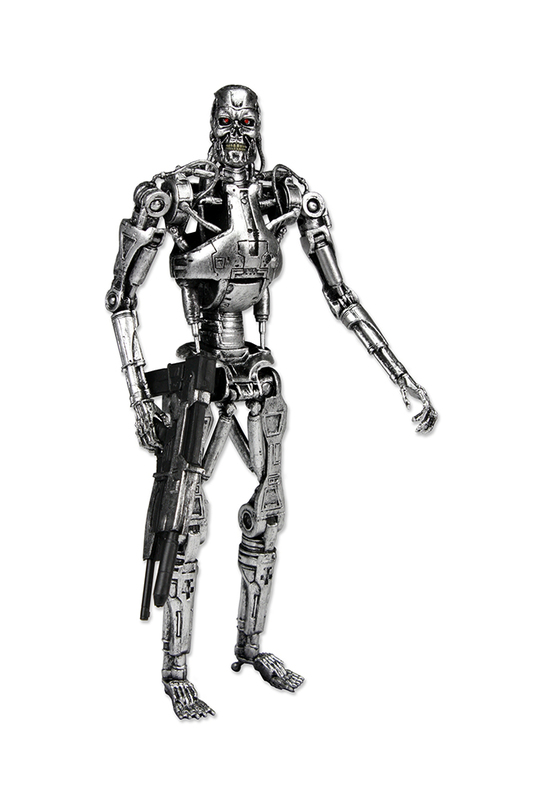 This T-800 figure stands 7” high and comes with machine gun accessory and plenty of articulation for dramatic posing. Collector-friendly window box packaging!